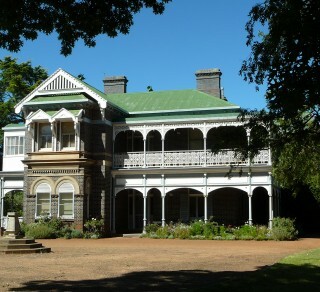 This online data base for the Saumarez Homestead collection allows all visitors to explore the collection thoroughly. The Keyword Search button allows you to perform a general search across multiple fields for any catalog records online. Alternatively, the Advanced Search button can help you be more specific with your search. You can search for a word or phrase within a particular search category or use multiple categories to further narrow down your search results. The Random Images button is a great way to just browse the collection. The Catalog buttons can also help narrow down your search, by only searching with a selected catalog. If you only want to search for Photos, click the Photos button and type in your keyword(s) or phrase. You can also browse records within that catalog without performing a search. The two storey, 30 room Edwardian mansion is the jewel of Saumarez.